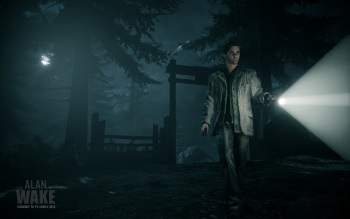 Alan Wake and his American Nightmare are both part of the GOG promotional sale. GOG, the home of DRM-free PC gaming, is having a bit of a blow-out, and slashed prices across the board. Pick 5 of its sale titles, and score each at up to 80% off. Fancy a pop at Alan Wake, The Witcher: Expanded Edition, or Legend of Grimrock? None of them are over $5 right now; the cheapest title is going for $2. To get the saving, you need to pick at least 5 games from the list, but there's plenty here to choose from - over twenty titles in all - and 7 of these titles are Mac OS compatible. The promotion will last for the next week, so if you want in on this, or just want to buy a bundle for a friend, better hurry over to GOG.